ADDIS ABABA, Ethiopia (AP) — Ethiopia has arrested 63 intelligence officials, military personnel and businesspeople on allegations of rights violations and corruption, the country’s attorney general announced Monday. The sweeping high-profile arrests carried out in recent days are a result of Prime Minister Abiy Ahmed’s order for a months-long investigation into misdoings under the previous government. Some of those arrested are accused of mismanaging a state-owned military corporation, the Metal and Engineering Corporation, that was looted in a multi-billion dollar corruption scheme, he said. 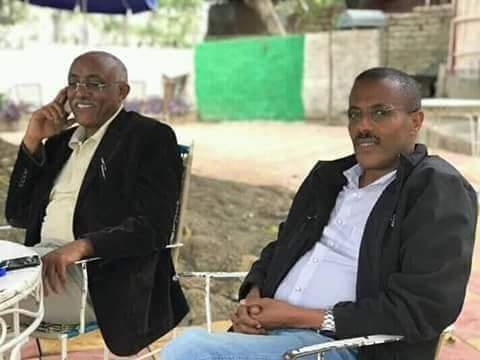 Berhanu also said that Ethiopia’s former spy chief is suspected of involvement in an attempt to assassinate the new prime minster at a rally on June 23. While other officials implicated in the plot have fled the country, the former intelligence chief is now residing in northern Ethiopia and should turn himself in to authorities, he said. Yilikal Getnet, an opposition figure, told The Associated Press the public had demanded the arrests of the former officials. Under the previous government, Ethiopia, a close security ally of the West, used to be accused of rights violations by human rights activists. Since Abiy, 42, came to power in April his new government has released several thousand political prisoners, permitted exiled opposition groups to return home, dropped terror charges against prominent opposition politicians and permitted the media to operate more freely. Despite the reforms, ethnic-based clashes are continuing in some parts of Ethiopia and pose the most serious threat to Abiy’s leadership of this East African nation of 100 million people. Amnesty International welcomed the arrests. © 2019 EthioReference. All rights reserved.